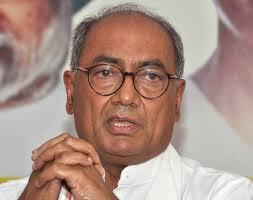 Uttar Pradesh will be placed under President's rule in case of hung assembly, Congress general secretary Digvijay Singh said today. Mr Singh, who was here to address an election meeting in Kareli area of the Sangam city, said the President's rule will be the viable alternative if any party failed to get majority in UP assembly polls. The statement of the senior Congress leader came hours after AICC general secretary Rahul Gandhi said at a press conference in Varanasi that the Congress will not forge an alliance in eventuality of a hung assembly. Reiterating the views of Mr Gandhi, the former Madhya Pradesh Chief Minister said the Congress would not take or give support of Samajwadi Party (SP) or Bahujan Samaj Party (BSP) if it fails to get majority number.